Recommended reads from the Kelpies range of Scottish children’s books. The bookworms at Floris Books love exploring library shelves – a library is like a sweet shop where the sweets never run out! Moreover, libraries offer invaluable literary access, not to mention a real sense of community in our villages, towns and cities. 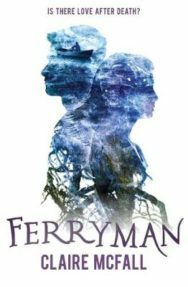 We’ve put together our top five recommended reads from our Kelpies range of Scottish children’s books. We think all of these deserve a place on the shelf in every personal and public library. The perfect addition to a storytime singalong session, this is the latest in the Wee Kelpies series of board books for bairns. 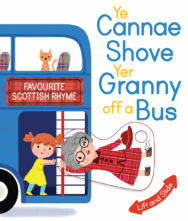 This hilarious twist on the classic Scottish rhyme is perfect for sharing with toddlers. The bright, colourful illustrations are full of fun details to spot and the moving parts and durable flaps are friendly for wee hands. Check out the video trailer here! 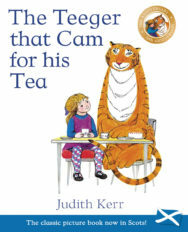 At Kelpies HQ we’re very excited to be joining in the 50th anniversary celebration of Judith Kerr’s The Tiger Who Came To Tea by publishing our own Scots translation! Translated by Scots language expert Susan Rennie, now native speakers and Scots learners alike can rediscover this classic picture book. 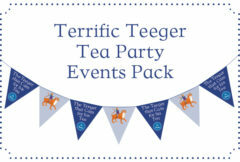 We’ve also put together a terrific Teeger tea party pack (free and easy to download from our website) so that you can host your very own themed tea party in your school or library. Filled with clever wordplay, hilarious jokes and dynamic line drawings, this fun, fast-paced series of adventures is perfect for young and reluctant readers, or those with dyslexia. The grand finale to Porridge’s adventures is due out this summer. In the meantime there are five other wild, zany adventures to enjoy. 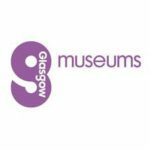 Head on over to our Features for Teachers section where you’ll find lots of great resources to download for the books. 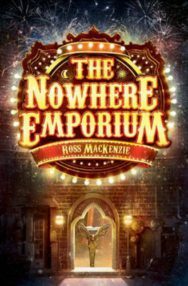 Winner of both the Blue Peter Best Story Award 2016 and the Scottish Children’s Book Award 2016, The Nowhere Emporium is an astonishing adventure, perfect for fans of Philip Pullman, Cornelia Funke and Neil Gaiman. The hotly anticipated sequel to this marvellously magical middle grade novel is set to hit bookshop shelves this Autumn. 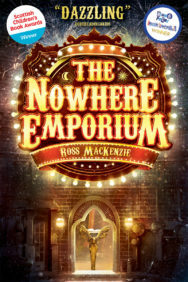 There’s no time like the present to drop everything and step inside the mysterious doors of Ross MacKenzie’s spellbinding story. 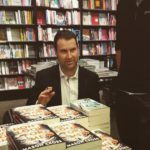 With a million copies sold in China and now a film deal clinched with Legendary Entertainment (the makers of Godzilla and King Kong), this is an absolute must-read for fans of YA everywhere. If you enjoyed this article then check out Scottish author Theresa Breslin on the importance of libraries in our Social Justice Issue. 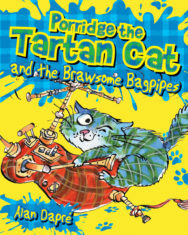 You can also read this article by Porridge The Tartan Cat author Alan Dapré on growing up in care and his life-long love of books.